It’s that time of the year when you’re looking for a smartphone that seats in the middle of budget, performance and looks. We rounded up these fantastic budget smartphones and the reasons to get or not to get one – all under N45,000. 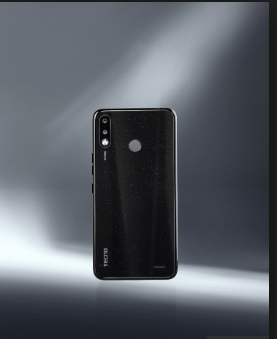 The Huawei Y6 Prime 2019 goes for N40,000. For now, only the Pro version is available in online shops such as Jumia and authorized dealers at N37,500. The basic SPARK 3 will be available from April 25th and will retail for presumably less than N36,000. If you’re looking for a power horse, then the TECNO Camon 11 is the one to pick. Check out our review. It retails for N45,000 on Jumia. Get the 3GB variant at Jumia for N44,000. Read our full review here. Jumia sells the 3GB variant for N33,000 and the 4GB variant for N36,000. Last on our list is the Infinix Hot 7. This is the latest smartphone by Infinix and comes in three variants-: a 16GB/1GB RAM/single camera variant which will retail for N32,000, a 32GB/2GB/dual back camera variant that will retail for N33,000 and a reportedly Pro version packing 3GB RAM and either 32 or 64GB.